This is the Phone you can have with your VoIP virtual office package. You can use this phone anywhere in the world and your call will appear to be coming from Toronto! Companies who do not need a physical office space will often use a virtual office within an office business centre in order to have a prestigious business address to put on their business cards, letterhead, brochures and other business-related material. Some will choose to just have the mail service while others will choose the Mail and Telephone service to give them access to a live professional receptionist who answers their calls based on their instructions. Recently, Telsec introduced a new VoIP (Voice over Internet Protocols) that has an optional VoIP handset that can be used anywhere in the world (provided there is an internet connection). Here are some tips to help you use a virtual office service to its potential as well as some advice to help you find the right virtual office for you. Tip No. 1 – Don’t tell anyone it’s a virtual office. When clients call your phone number at our virtual office, your calls are answered as if you have an office at our business centre. The seamless transfer of your call to your mobile phone or home phone will never let them know you do not have a physical office at our facility. With Telsec’s new VoIP phones, your business name and number comes up in your customer’s call display. So regardless of where you are located, your customer believes you are in your office at 1 Yonge Street in downtown Toronto. Tip No. 2 – Don’t give a client the reason to show up unexpectedly. Be professional and make sure your clients know that you are not always in the office and they need to make an appointment to see you at your office space. Far too often, businesses forget to do this and when an unexpected customer shows up, the receptionist informs them that you are not in the office today. Let your customers know that you are often in and out of the office and they must make an appointment to visit you. Then you can call and book a meeting room. Telsec offers reduced prices for meeting rooms for virtual office clients. Tip No. 3 – Never have your virtual office located at a post office box or a mail store. Your clients will Google or drive by your address and see that it is not an actual business address and only a mail-drop location. When your customer sees that it is not an actual office location, they will wonder about your business status and accountability. The other disadvantages to P.O. Boxes and mail stores is that they are not equipped to sign for courier packages or to forward your mail. Another point you may be interested in knowing is that when listing your business on Google local, they do not allow for P.O. Box or mail-drop centre addresses. Tip 4 – Know what is available to you. Find out what it costs to rent a boardroom for the day or what other amenities are available to you as a virtual office client. You could save money on the other services that your virtual office facility has to offer. Not only read about the various amenities, options and other services, but speak to a representative on the phone or arrange to tour the facility. Tip No. 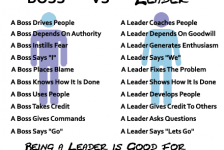 5 – Keep it believable! If you are a small business that works on the road or from home, choose a business centre for your virtual office that is not located in the most expensive office space in the city. Your clients may think you are too big and too expensive because of your office address. For more information about virtual offices, read this blog. 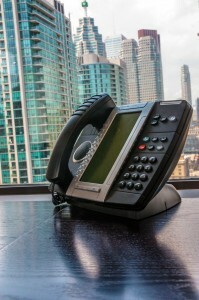 Link to previous blog about virtual office preferably the VoIP one. Contest Closes December 19, 2013.. The winners will be selected later that day. If you want to a have true impact as an entrepreneur, there are things you need to master.